If you want to know the ins and outs of a community, striking up a conversation with the town manager is a surefire way to gather solid information. 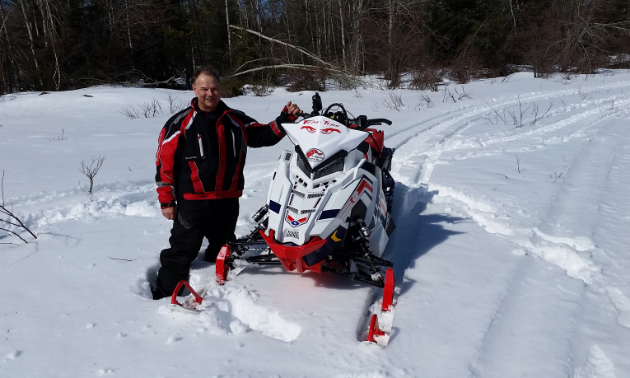 Considering that the town manager is also the director and trail committee chair of the Hudson Bay Trail Riders snowmobile club, Richard Dolezsar is a wealth of knowledge. 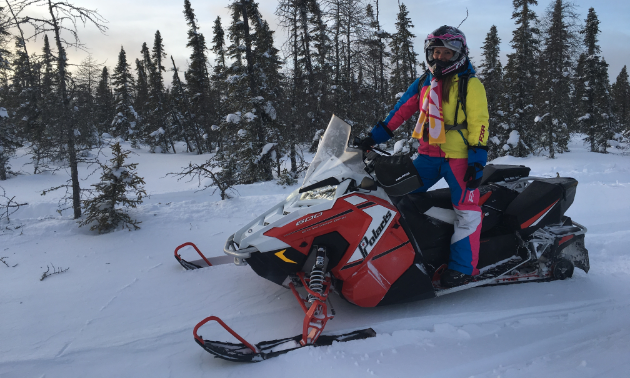 The most recent Saskatchewan SledTown ShowDown provincial-winning city of Hudson Bay has a lot to see and explore. Dolezsar recommended a few popular day trips for riders new to the area. Trail 210P around Bankside Lake and the Wildcat Hill Wilderness area. “This is a 125-kilometre (78-mile) loop that takes you on an 1,800-foot (549-metre) climb through the Provincial Forest with a number of lookouts that have majestic views back towards town and to the Leaf Lake area east of Hudson Bay. 210B and 210K as a round trip over to the Weekes Hotel steak pit. “This is a 130-kilometre (81-mile) round trip with fuel and refreshments available at Weekes. They are renowned for their steaks and wings. Dolezsar loves the fresh air, freedom and ability to visit new areas that are only accessible in the winter. 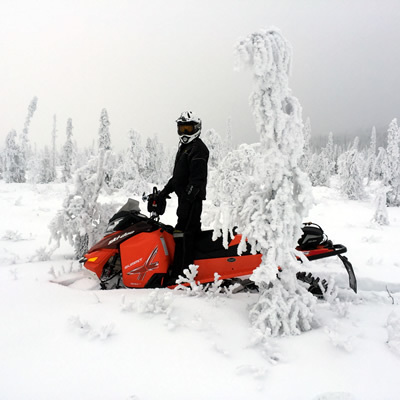 He gets most enjoyment from exploring new destinations throughout the Provincial Forest around Hudson Bay. “Being somewhat adventurous, I like to ride with a small group of experienced riders into new areas,” Dolezsar said. “One time, three of us ventured off Trail 210A, picking up an old logging road and working our way down alongside a creek and snow-filled meadows into the Killian Lake area. 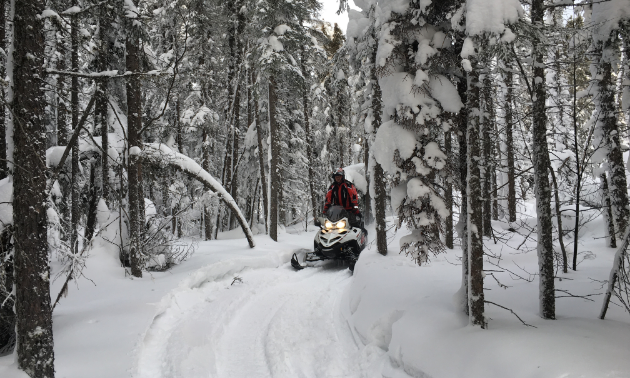 From there, instead of backtracking, we picked up an old seismic line that headed northeast for 24 kilometres (15 miles) through the wilderness and eventually worked our way out to the Woody Lake Road north of Moose Range lodge. Local ride recommendation: The area north of town in the Pasquia and Wildcat Hills is best, particularly in the early season or into April. 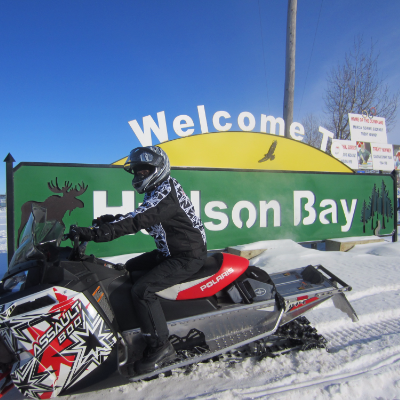 Hudson Bay has the potential to be your next favourite riding destination. 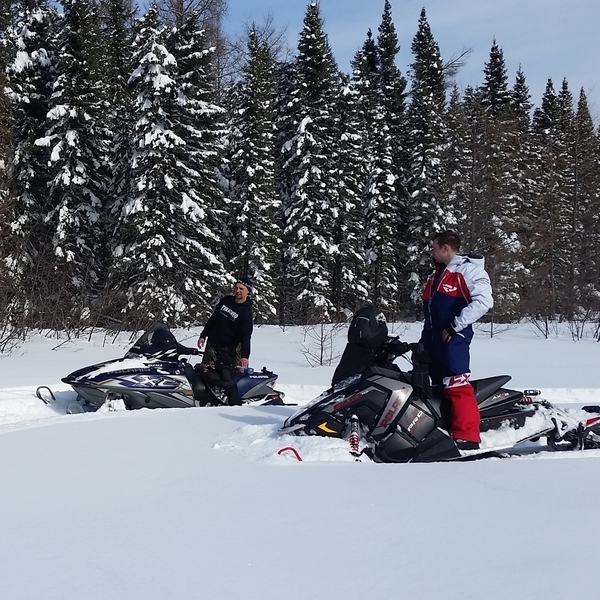 A dozen huts, 670 kilometres of groomed trails and two million hectares of provincial forest. Ready to check out Hudson Bay yet?